A new design of the Linktower, one of the most innovative and revolutionary models in the Generac Mobile® range! 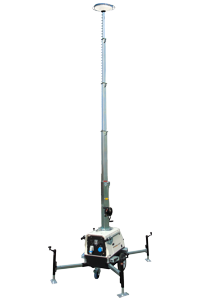 The Linktower T3 is a mobile light tower which can be powered by an external power source like a power generator, the main or another light tower with built-in generator. 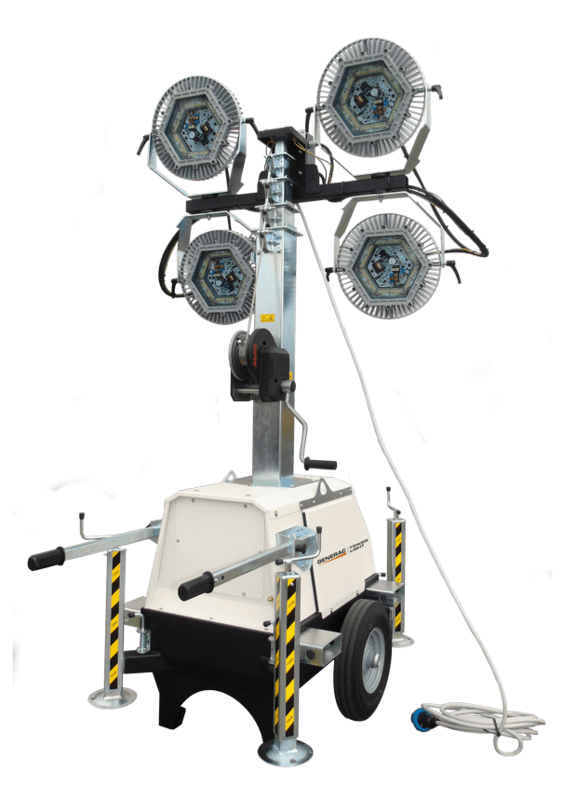 The main feature of the Linktower is that up to 4 Linktowers T3 LED or up to 7 Linktower T3 UFO can be connected in series to a single power source, providing an high illumination area with reduced fuel consumption. Thanks to the practical manual hand trolley, the light weight and the new jockey wheel, a single operator can handle the Linktower quickly and safely in every kind of working area. The new Linktower has two lockable doors to access the inside of the body for documents and tools storage. 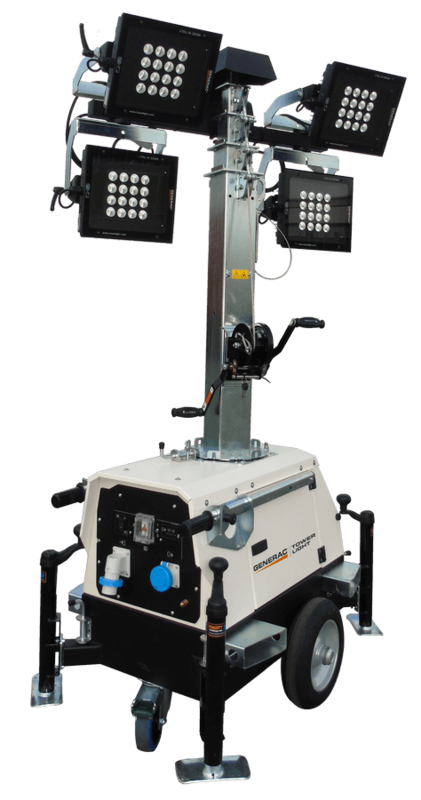 A new model of robust and easy stabilizer to perfectly level the light tower in seconds. The new frame of the Linktower is designed to better protect the control panel from rain.